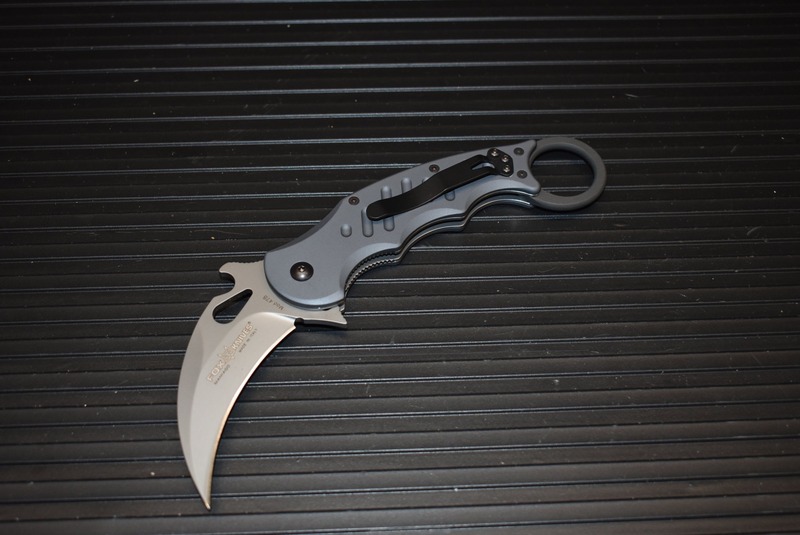 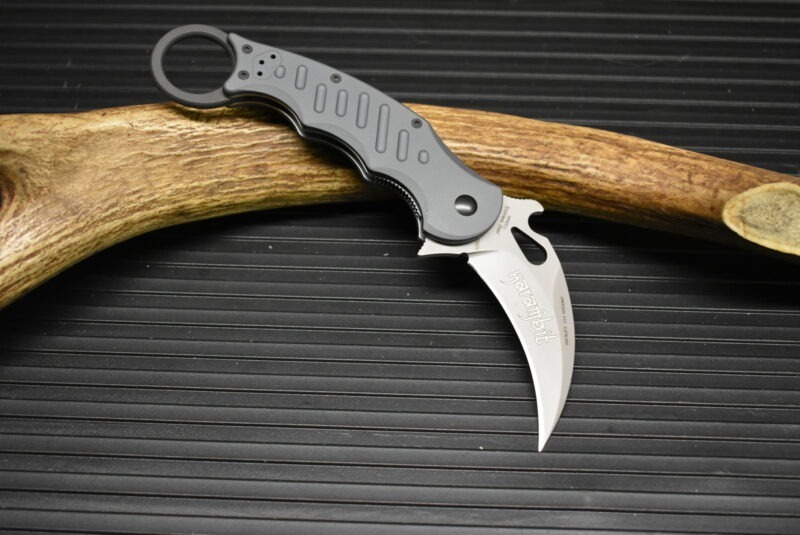 Fox Folding Karambit. 8.5″ overall. 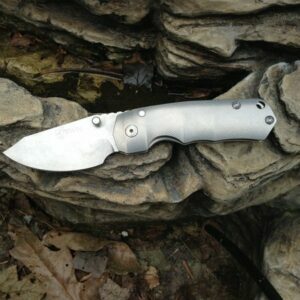 3.2″ N690Co cobalt vanadium stainless blade with a satin finish. 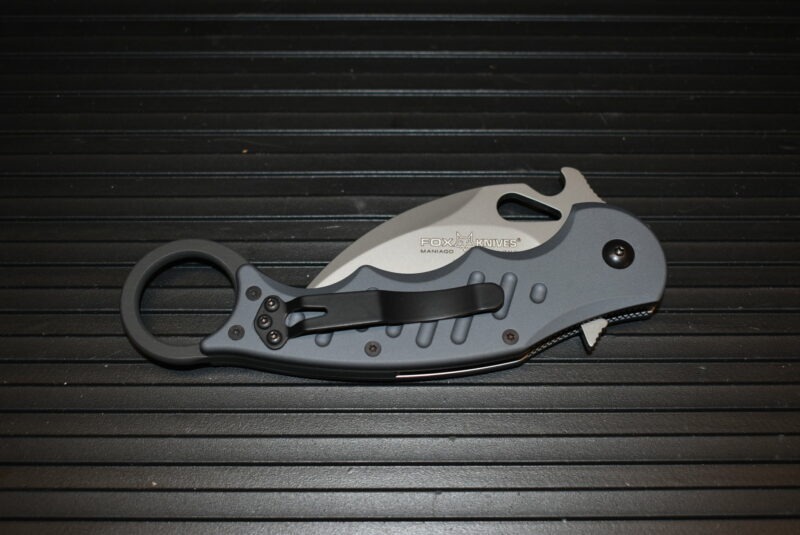 T6-6061 aircraft grade aluminum handles with integrated finger hole that works excellently with both the index and pinky fingers. 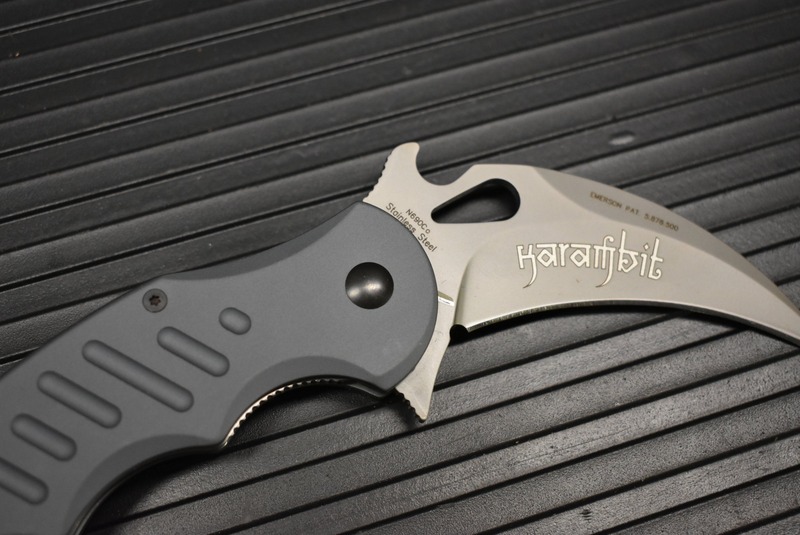 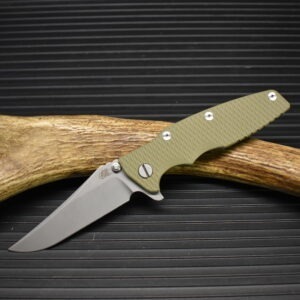 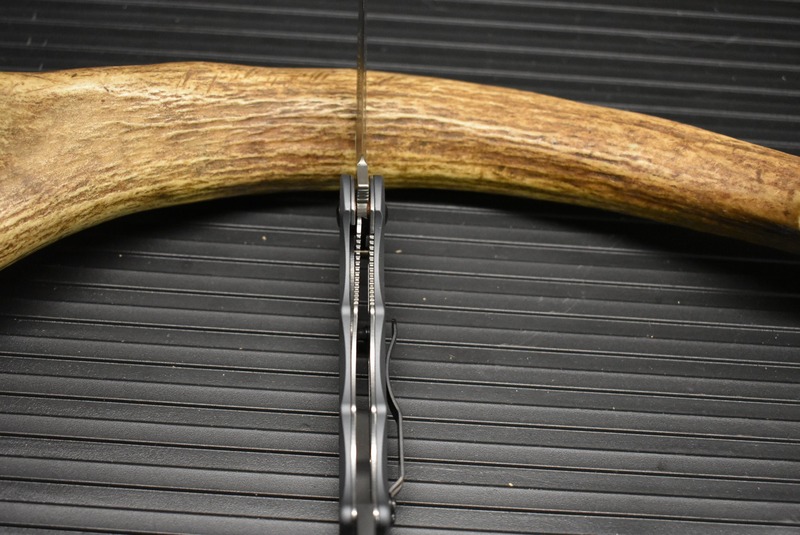 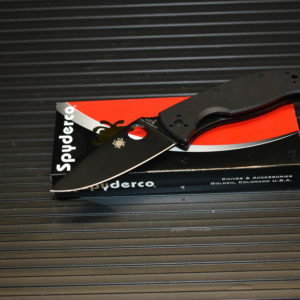 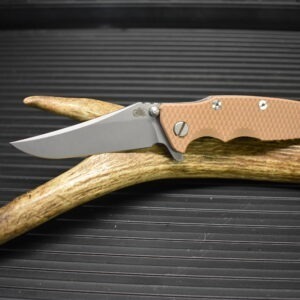 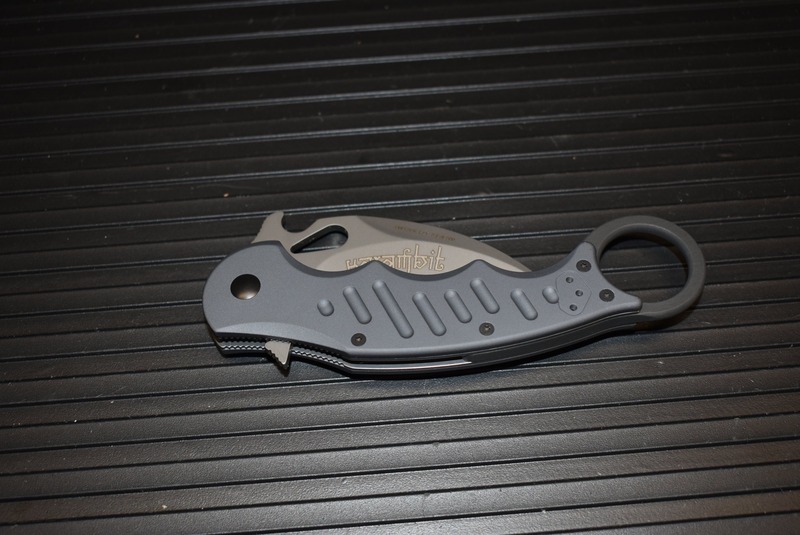 A pocket defense tool with a functional and elegant style from a quality manufacturer.